Oren Masserman’s is enjoying “Mango Kisses” off of his latest album release called, Keepin’ It Simple. The U.S. Department of Agriculture should be placing the nourishing album on the food pyramid. The iTunes version is the perfect complement to the summer season. The Southern Californian import aka Masserman fits perfectly in the Hawaiian music scene. The ocean is Oren’s muse and he brings a certain charm listeners became familiar with by the release his début original album, Spread the Aloha. Oren has been a longtime member of the Surfrider Foundation and is apart of the Maui Chapter. 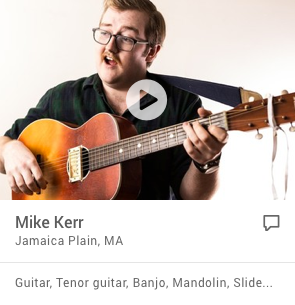 The surfer/sailor and singer/songwriter molds all of his passions into his music. Due to the musician’s geography and passions, he is able to use his gift as a forum to spread awareness. The track “Ocean Song” is a piece emphasizing the importance of taking care of the oceans both locally and internationally. The song “Smooth Sails” not only reflects his work with Trilogy, a sailing company, but a breezy song that allows your mind to drift. Most people are completely dependant on electronic devices and nothing is more liberating than going to the beach and hiding beneath the sun without a care in the world for the next forty minutes. His sailing song naturally fits into the Maui beach setting by uplifting the listener. Sometimes, there is something to be said about consistency in pop music. From album cover image to album title to music to lyrical content, singer-songwriter Oren Masserman has no problem getting his message across to anyone who will take the time to listen. The cover of Masserman's sophomore effort features a young boy climbing a coconut tree in the obvious pursuit of a prized coconut. The sky is golden and cloudy, the location is presumably somewhere on an island paradise, perhaps Hawaii? The album is appropriately called Keepin' It Simple as well! The fact that Masserman is a lifetime surfer completes the picture rather emphatically. A casual listen to Keepin' It Simple will probably raise comparisons in most folks' minds with the best-selling albums of fellow surfer dude Jack Johnson. Definitely, there is a similar easy-going, upbeat, positive vibe about Masserman's music that is highly reminiscent of Jack Johnson's very popular oeuvre. Older readers will no doubt recognize the indelible mark of Jimmy Buffet on the Masserman's entire "island escapism" schtick. Remember, the word here is "consistent," as Masserman's songs never stray from the formula set out from the opening song "Mango Kisses." Instrumentation is stripped down, with acoustic guitars and ukeleles providing accompaniment and a multitude of percussive instruments keeping time whilst the melodies are uncomplicated enough to support natural harmonies. Lyrically, Masserman takes inspiration from his own life experience, i.e. a lifestyle of traveling, surfing and sailing. In other words, the good life. Certainly, it is impossible not to visualize sandy beaches, fruit drinks, sun-kissed tanned bodies when listening to the music on Keepin' It Simple. Masserman never claims to be anything except for what he is: an ukulele strumming surfer dude enjoying the easy life that he paints so vividly in his sunshine pop songs. As Masserman explains in his official bio, “There's a message, a vibe, a feeling that you get with this music. And it feels so good. This is life. This is what we have. This is what we do. We might as well be stoked while we're living. ” How can one argue with such positivity? Born and raised in Southern California, Oren has always had a rich appreciation for the ocean and the coastal culture that surrounds it. Having spent the last 5 years living on the island of Maui, this time has only strengthened that appreciation and has had a huge influence on his music. Using his percussive background, he quickly learned to play the ukulele and started composing music soon thereafter. Much of Oren’s music is inspired by a lifestyle of traveling, surfing, and sailing, and he values the ability to translate this lifestyle to his listeners through his original and inspired lyrics. “Working on a sailboat and performing at local beach bars here on Maui gives me the opportunity to share my music with thousands of people every year, and nothing inspires me more than seeing the smiles and happiness that my music brings”. Aside from his own performances, Oren has recently had the opportunity to open up for such acts as Third Eye Blind and two-time Grammy Award winner Taj Mahal, as well as local artists Paula Fuga, Grammy Award nominee Henry Kapono, Micah Wolf, and The Throwdowns. 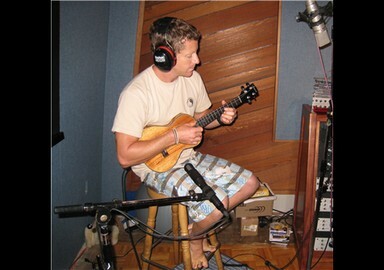 After the completion of his first album, entitled “Spread the Aloha”, Oren’s music has managed to gain popularity through a widespread grassroots movement. The depth of this movement was perhaps first evident on a trip to Australia in which, upon performing in a small surf town at a local pub, many of those in attendance already knew many of the lyrics to his songs. Since that time, listeners have trickled in from places as removed as Sweden, Israel and Canada, and a first grade class in rural Kentucky recently completed a music video set to the tune of Oren’s hit track, “Stay Positive”. With the release of his second album, “Keepin’ It Simple”, Oren’s aim is to continue the trend of upbeat, inspired music that his listeners have come to expect, as well as encapsulate his underlying theme in life. “I see too many people in this world who are unhappy, stressed out, and consumed with the wrong things. I think we all need to take a step back and find what we love and find what makes us happy. We gotta keep it simple! To me, that’s taking a step forward”. A lifetime surfer with a deep respect for the ocean, Oren has recently felt a call to help care for and protect the element which has inspired so many of his songs and shaped who he is as an artist. Out of this desire to protect our fragile resources emerged the environmental awareness anthem “Ocean Song”, which aims to call attention to the immediate need to take care of our oceans on a local, national, and global level. Oren says, "through music I can not only garner attention and raise awareness about the perils our oceans face, but also tell a story and enhance the foundation that grassroots organizations have already created". Since its early release, “Ocean Song” has been used in promoting events such as Surfrider Foundation’s International Surf Day, as well as the Surfrider Blue ‘Aina monthly beach and reef cleanups that focus on cleaning up local island surf spots. Regarding the role he is playing in raising ocean awareness here in the islands, Oren simply believes that “it is empowering to inspire people to get inspired”.